The American DJ Mega Flat Hex Pak is an all-in-one LED up lighting kit. 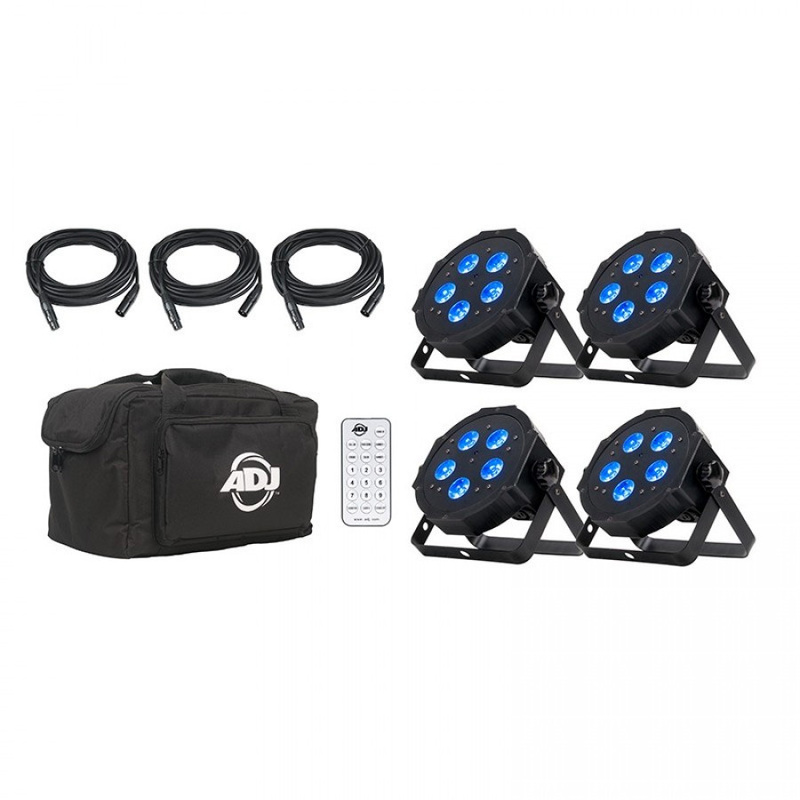 The new ADJ package includes Mega Hex Par lighting fixtures, power cables, DMX cables, wireless remote and carry bag. Easy to use complete stage lighting solution for dj's, bands or for all up lighting professionals to transport and store their Mega Hex Par LED fixtures. All fixtures, cables and controller fit inside the protective case.